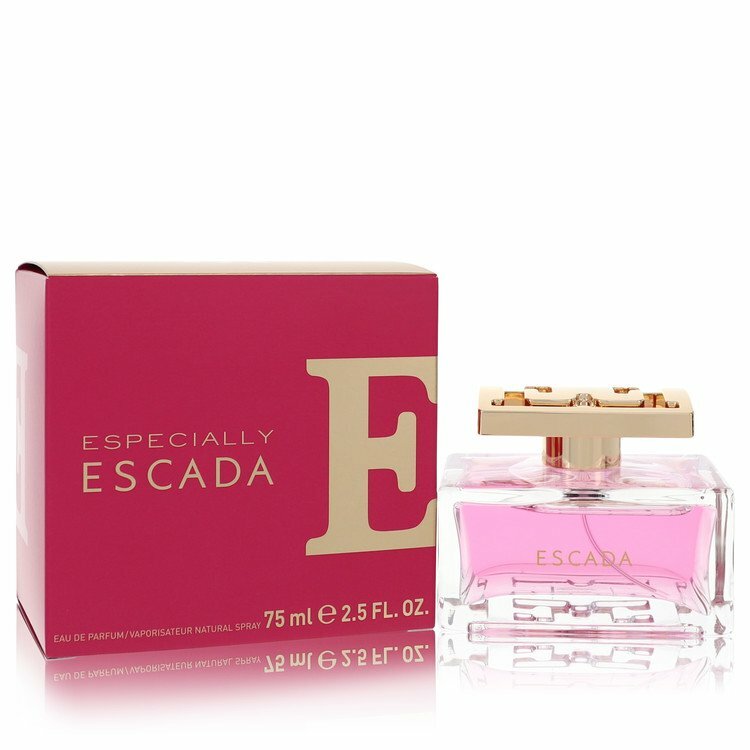 There are 4 reviews of Especially Escada. I want to at least give this a neutral due to the nostalgia it evokes for me and the personal association I have with it. It smells to me like a cheap bath product from the 1990s, like VO5, White Rain, or Pert Plus. Smells clean and soapy, like cheap shampoo or hairspray. Simple, clean, and unsophisticated yet for me not unpleasant. I might buy it very cheap for the nostalgia as it reminds me of bath products my grandmother used. Very strong, overpowering perfume that could easily bring on a headache. Fills the room in a bad way. The rose is overdone and strangles other fragrance notes. Even after scrubbing with soap and water, I couldn't remove it entirely. Old-fashioned scent that might appeal to much older women. I definitely can't recommend this one. As a matter of fact, it has completely turned me off to rose notes. Flirtatious, fun... yet not a "special" scent at all. Decent longevity, a hint of sour pear behind the rose, and nothing else really. This is going to be a very different review. I'm not much for florals and definitely not much for fruity florals but I really like this one. Mostly I smell a great rose that isn't chemical with something else added -- my nose and scent experience aren't good enough to tell you what. When you first apply it, it reminds me somewhat of Ralph Lauren Romance without the powdery base (can't stand powder but I know others like it a lot). It has many layers and keeps changing over time. At first it comes across like just another floral rose perfume and a little bit like shampoo but loses this almost at once and starts to evolve. One of the reasons I like it is its complexity. You think its simple and then as you wear it you find out that's not true. Every stage is really quite charming. It lasts a long time and has good silage on me. The bottle is beautiful and I even like the pink color which has a tinge of lavender about it and normally I abhor pink juice. This is probably one of my favorite florals. The first time I wore this I picked my husband up from work. He asked me if someone had been smoking a cigar in the car. Absolutely not!!!!! Then when we got home he went in the bathroom where I had put on my perfume and smelled it again. He determined it was my perfume. He also said he loved the tobacco aspects of it. I don't get any tobacco in this at all and I certainly don't want to smell like a cigar so this troubles me a bit and I would be anxious to hear if others get the same thing my husband gets from this scent. Hopefully, he is the only one that gets this even though he says it is one of my nicer scents Now I really don't understand this comment from him. How can a cigar scent be one of his favorites of all my perfumes???????? Looking forward to reading other reviews. 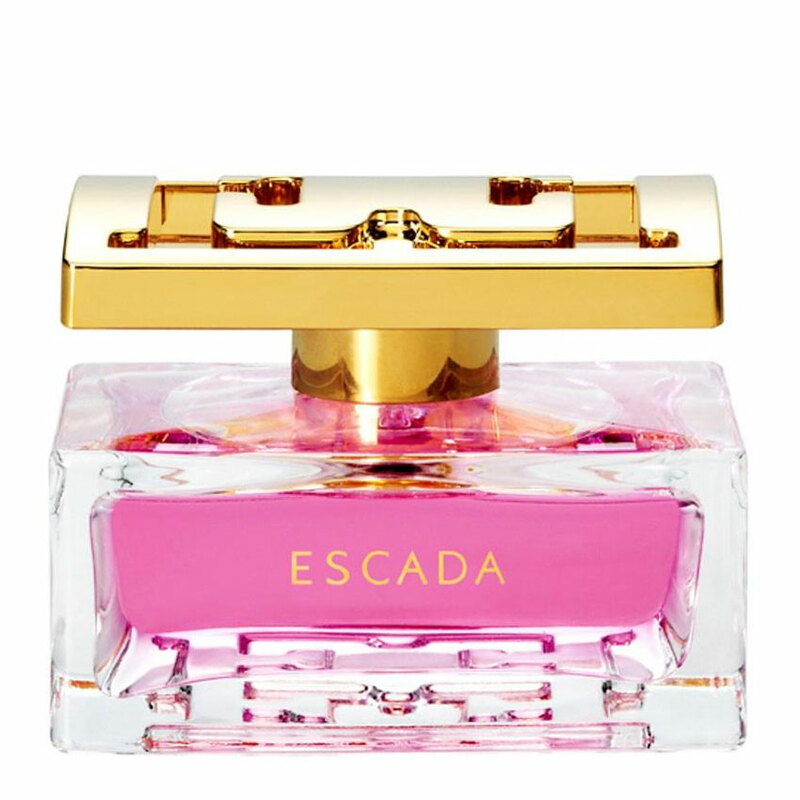 There are no member images of Especially Escada yet. Why not be the first?